Sam Smith has recorded a special version of his single Lay Me Down with John Legend for this year’s Comic Relief Red Nose Day show. Sam Smith recorded the single in Los Angeles with John Legend earlier this year. 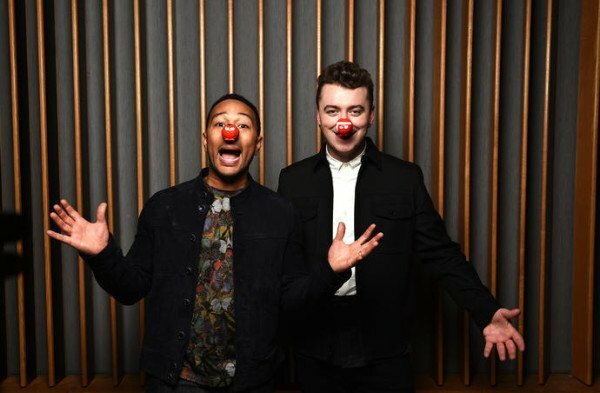 They will perform the ballad during Comic Relief: Face the Funny on Friday, March 13, on BBC One. The one-off performance will be broadcast live from the London Palladium. A digital download of the special track has been released ahead of their performance. Sam Smith said: “Lay Me Down holds a very special place in my heart. John Legend said: “Sam is such a talented artist. We’ve been looking forward to working together for a while now. All the profits from the sale of Lay Me Down will go to Comic Relief.